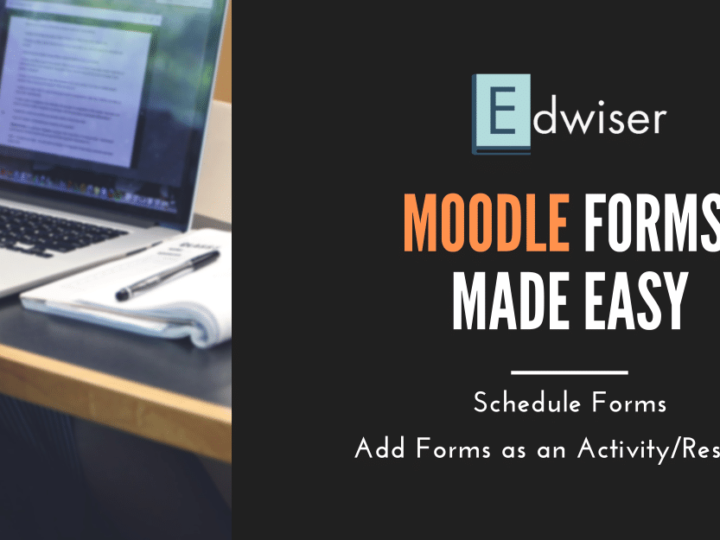 Announcements > Update > Your Favorite Moodle Theme Edwiser RemUI Updated! Change always feels good, doesn’t it? (As long as it’s a good one :P). So here I am, writing this blog post, with a happy announcement. 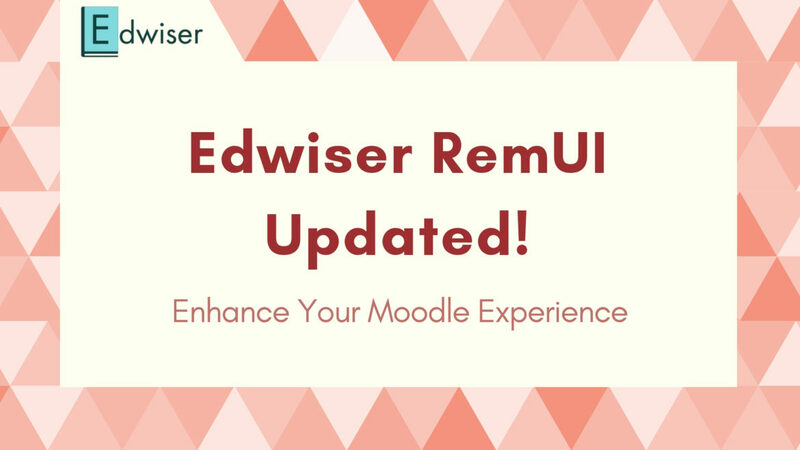 Your very own Edwiser RemUI is now better! Woo-hoo! But before this excitement gets the better of me, let me share with you a glimpse of how this update came about. 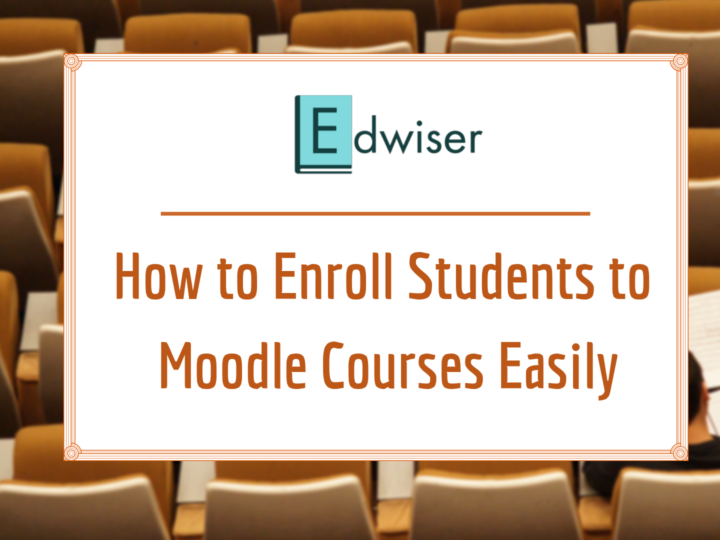 In one of our recent updates, we came out with a brand new feature for your Moodle – the course stats section. This section would let you view important stats for the concerned course. You could now keep a track of Enrolled Students, Students Completed, In Progress and also students yet to start! Even though it worked smoothly for most of our users, there was a certain section of users that expressed their concerns. A decent number of users wanted the Course Stats section to be visible to teachers and managers as well. But what was more concerning was the fact that the stats section was causing slow-loading of certain Moodle courses. Our patrons including Vasco Manuel & Abdul Ghaffar brought this to our notice and we dug into the problem. Further analysis helped us understand how this was an issue specific to courses having a large number of students. In earlier versions of Edwiser RemUI, the Course Stats section used to load before the course content in the course page. This wasn’t really an issue for a course having less number of students. However, in case of courses having a large number of students, this led to significant delays in the loading of the page. For instance, if there were 1000 students with multiple activities in the course, it ended up taking a lot of time to load the course stats section, and then load the course content. Always committed to improving and growing, we considered all of these inputs and made amends. Along with the above, the course stats section has now been made visible to Admins, Managers, Course Creators as well as teachers. While we were exploring this issue, we found out that there was some performance related issue in the Card Format. In addition to the above, we also got some other suggestions. Rakesh B gave us a suggestion on the social media front. With this update, you can now add a Quora link as well, to the footer of your Moodle site. This update (v3.6.2/v3.5.7/v3.4.9) also makes sure you can run a quiz timer properly in Secure mode. Other than the above changes, there’s a surprise element too! Your very own Edwiser RemUI Course Formats now has a new identity – Edwiser Course Formats, an independent plugin. 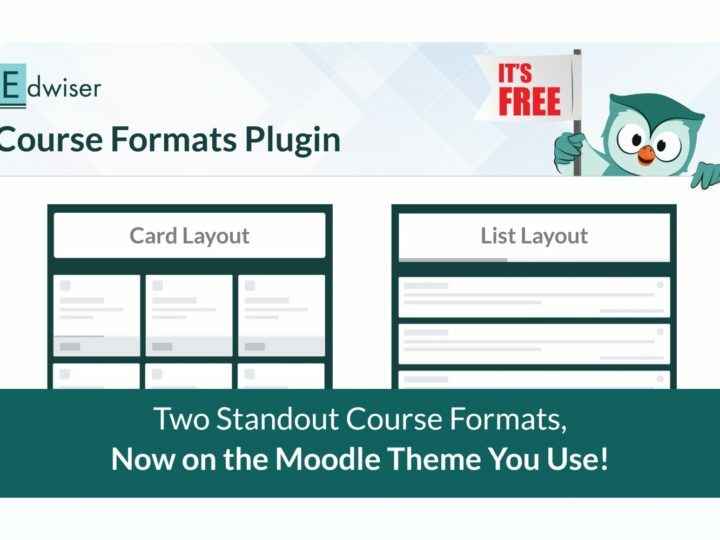 With time, we’ll be adding more course layouts to this plugin. The version number of this plugin is v0.9.0. This journey of ours has been about learning and improving throughout. This has been made possible by the active involvement of all our patrons. 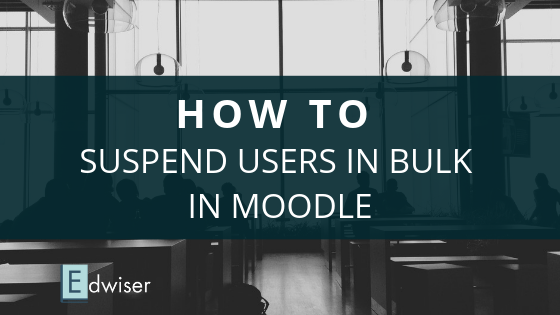 The feedback and suggestions we receive, has helped us come up with the best solutions for your Moodle every time. So is the case with this update for Edwiser RemUI. So how do I update the theme? It is great to see a product just getting better, I feel the purchase I made keep increasing in value. Thanks for your commitment Edwiser. Daniel, we’re so glad to know you feel this way! Many thanks. Is there a changelog anywhere for the RemUI theme and associated plugins in please ? Many thanks Adarsh – and keep up the great work with this excellent theme ! Do let me know if you need anything! Happy to help!